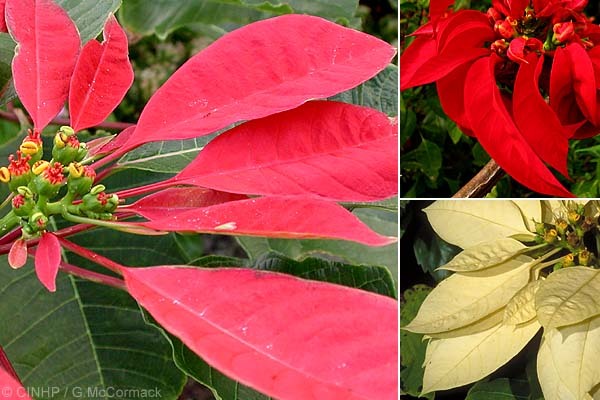 SIGNIFICANCE LIST: Ornamental flowers; Poisonous? KEY FEATURES: Winter-flowering shrub to 3m. LEAVES oval, lancelike or fiddlelike, to 15cm. 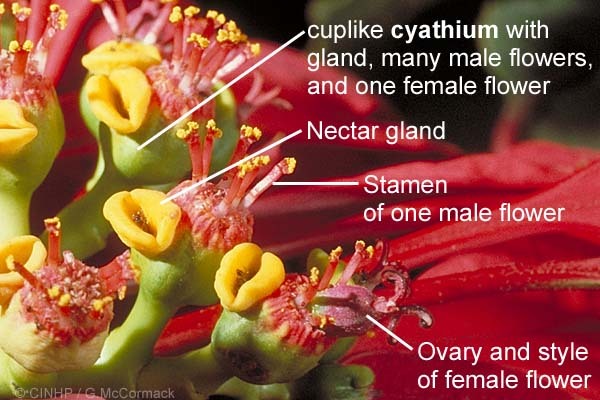 FLOWERS terminal clusters; bracts leaf-like, reds, pinks or white; glands yellow. Many cultivars.